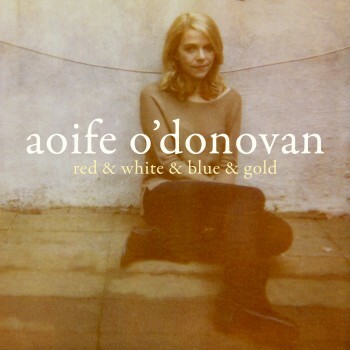 Aoife O’Donovan’s first solo track, “Red & White & Blue & Gold” is now available on iTunes. Stream the song in the player below. The song is the first off the upcoming album Fossils, out June 11. Featuring 10 original songs by O’Donovan and contributions from friends and frequent collaborators like Sam Amidon and Dave Douglas, the album was recorded in Portland, OR, and Aoife’s adopted home of New York City. Album opener “Lay My Burden Down” may already be familiar to music fans via Alison Krauss’ interpretation of the track on her 2011 album ‘Paper Airplane,’ but the swirling arrangements and glistening harmonies on ‘Fossils’ hold many surprises. The intimate “Thursday’s Child” and languid, wistful “Red & White & Blue & Gold” are hypnotic in their delicacy, while “Beekeeper” and “Fire Engine” show the forceful power and resolute grace drawn from the deep well of emotion in Aoife’s voice. Hailed as “a vocalist of unerring instinct” by the NY Times, “transcendent” by the Boston Globe, and “the newest darling of the Americana set” by USA Today, O’Donovan will kick off a spring tour that includes dates with The Milk Carton Kids in April, Mountain Stage and Music City Roots in May, and her Bonnaroo debut in June. Stay tuned for more details and see full dates HERE. Aoife O’Donovan FOSSILS is out today + “Beekeeper” is iTunes Single of the Week.